Home News MIDA’s Briefing on Green Technology Incentive. We are always keen to educate the public about solar PV system in hope that everyone will have a better understanding on the benefits and feasibility of the solar energy. 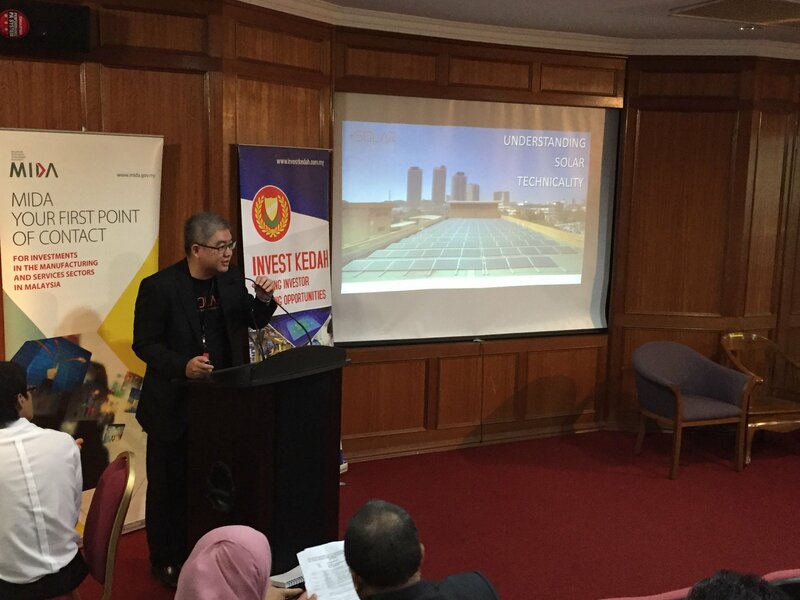 Therefore, we are honored to be invited to the briefing sessions in Penang and Alor Setar by Malaysian Investment Development Authority – MIDA to explain on the Solar Photovoltaic industry. There, we educated the audiences regarding the solar PV technicalities and factors to consider before deciding on the system implementation. If you have any inquiries, feel free to contact us at 03-8994 2890 or drop an email to web@plus-solar.com.my!